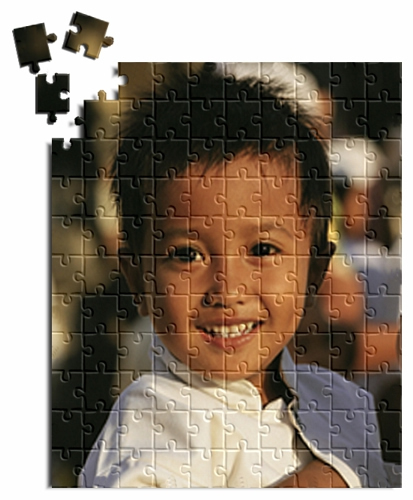 Get your own personalized photo puzzle. Includes collapsible box. Available in two sizes. The 110 piece puzzle measures 7 x 9 inch while the 252 piece puzzle is a very generous 10 x 13 inch. PLEASE NOTE: WE DO NOT SPAM or SEND NEWSLETTERS UNLESS OTHERWISE REQUESTED.